Live Blog: Team coverage, photos and traffic updates for 'Million Man March' D.C.
WASHINGTON (AP) — Black men from around the nation are gathering on the National Mall to celebrate the 20th anniversary of the Million Man March and call for policing reforms and changes in black communities. Nation of Islam leader Louis Farrakhan, who spearheaded the original march, will lead an anniversary gathering Saturday at the Capitol called the “Justice or Else” march. 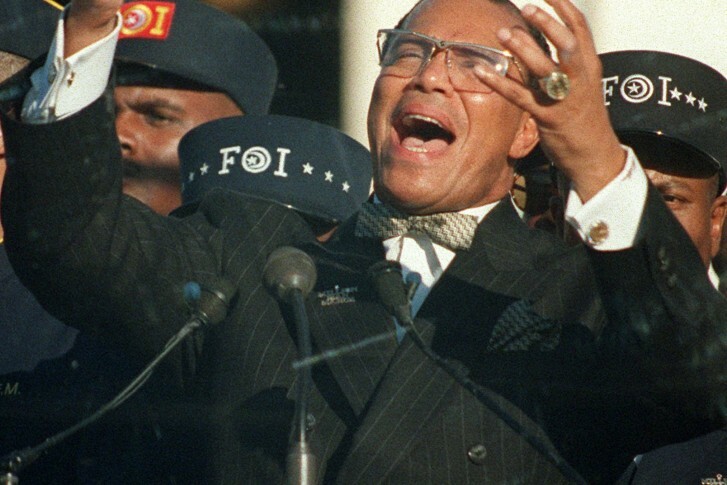 “I plan to deliver an uncompromising message and call for the government of the United States to respond to our legitimate grievances,” Farrakhan said in a statement. Attention has been focused on the deaths of unarmed black men since the shootings of 17-year-old Trayvon Martin in 2012 in Florida and 18-year-old Michael Brown in 2014 in Ferguson, Missouri. Deaths of unarmed black males at the hands of law enforcement officers have inspired protests under the “Black Lives Matter” moniker around the country. The original march on Oct. 16, 1995, brought hundreds of thousands to Washington to pledge to improve their lives, their families and their communities. Women, whites and other minorities were not invited to the original march, but organizers say all are welcome Saturday and that they expect to get hundreds of thousands of participants. The National Park Service estimated the attendance at the original march to be around 400,000, but subsequent counts by private organizations put the number at 800,000 or higher. The National Park Service has refused to give crowd estimates on Mall activities since. President Barack Obama, who attended the first Million Man March, will be in California on Saturday. —The unemployment rate for African-American men in October 1995 was 8.1 percent, according to the Bureau of Labor Statistics. In September it was 8.9 percent. —In 1995, 73.4 percent of African-American men had high school degrees. In 2004, 84.3 percent did, according to the Census Bureau. —Law enforcement agencies made 3.5 million arrests of blacks in 1994, which was 30.9 percent of all arrests, the FBI said. (By comparison, they made 7.6 million arrests of whites that year, which was 66 percent of all arrests.) By 2013, the latest available data, African-American arrests had decreased to 2.5 million, 28 percent of all arrests. Anti-Muslim protesters plan to demonstrate at mosques around the nation on the same day. Jesse J. Holland covers race, ethnicity and demographics for The Associated Press. Contact him at jholland@ap.org, on Twitter at http://www.twitter.com/jessejholland and on Facebook at http://www.facebook.com/jessejholland.